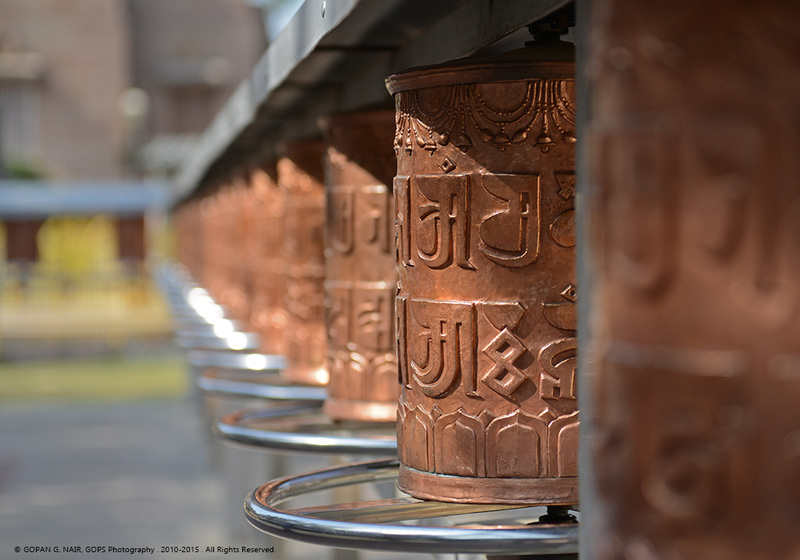 The National Symbol of India was adopted from an Ashoka Pillar originally found here in Sarnath. 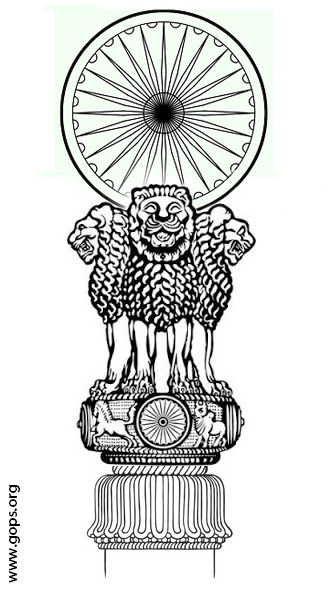 The Lion Capital of Ashoka is a sculpture of four lions sitting back to back, along with the ‘Dharm Chakra’ (Wheel of Dharma/ Ashoka Chakra, having 24 spokes) placed on top and installed on top of a pillar (Stupa, Stambh). Ashoka installed the famous Ashoka Pillar here which was broken down by Turk and Islamic intruders. 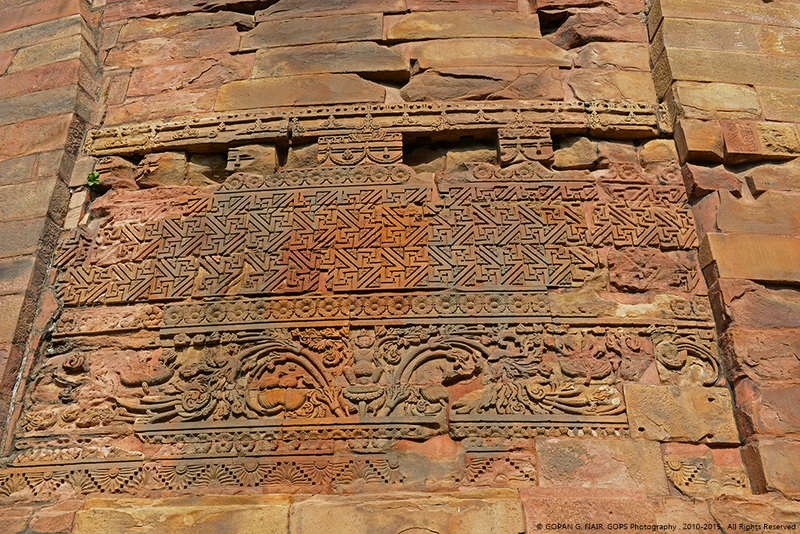 Remains of the pillar could be still found in its original location with the inscriptions in Brahmi script. 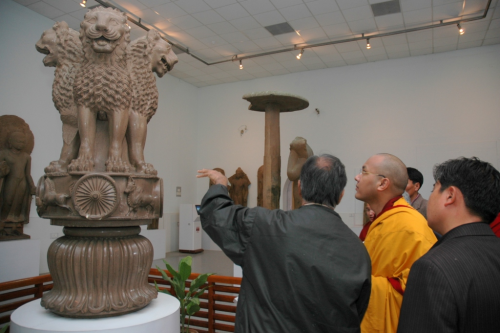 The Lion Capital and Ashoka Chakra have been kept safe in the adjoining museum of Archeology. The four lions represent power, courage, confidence and pride. 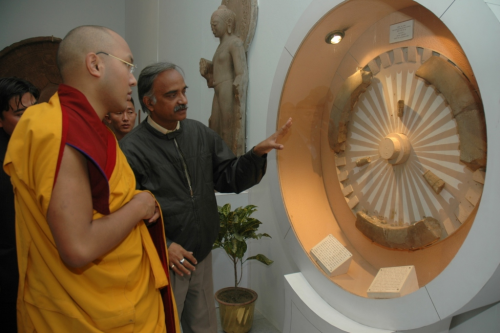 It also depicts Ashoka’s rule spread out in four directions. Besides the lions, the pillar also has a horse, a bull, an elephant and a lion, signifying the different states of Buddha’s life. 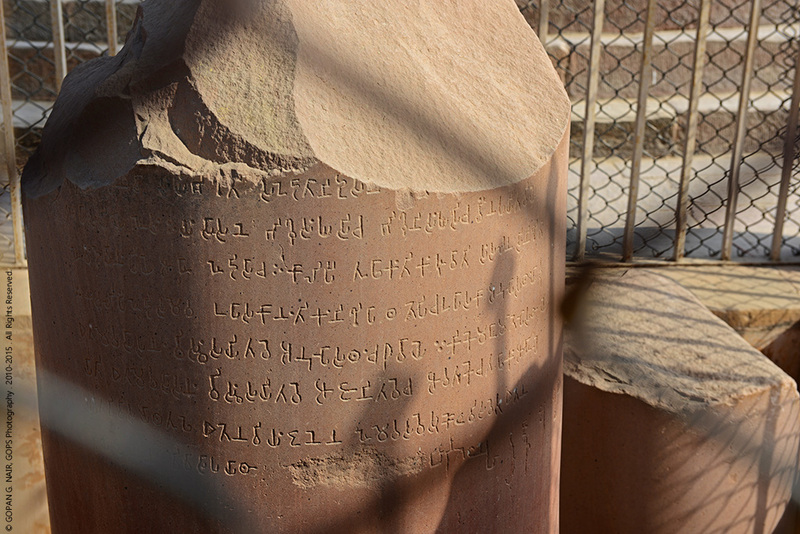 The monolithic polished Chunar sandstone pillar is 15.25 m high (0.71 m diameter at the base and 0.56 at the top). Sarnath is located 10 Km from Varanasi of Uttar Pradesh in India The Dhamek Stupa (44 m in height and 28 m in diameter) was erected by Emperor Ashoka of Maurya dynasty in 249 BC to mark the spot of a deer park (also known as Rishipattana or Isipatna) where Buddha gave the first sermon to his five disciples after attaining enlightenment. These five monks went around the world to spread Buddhism all over. 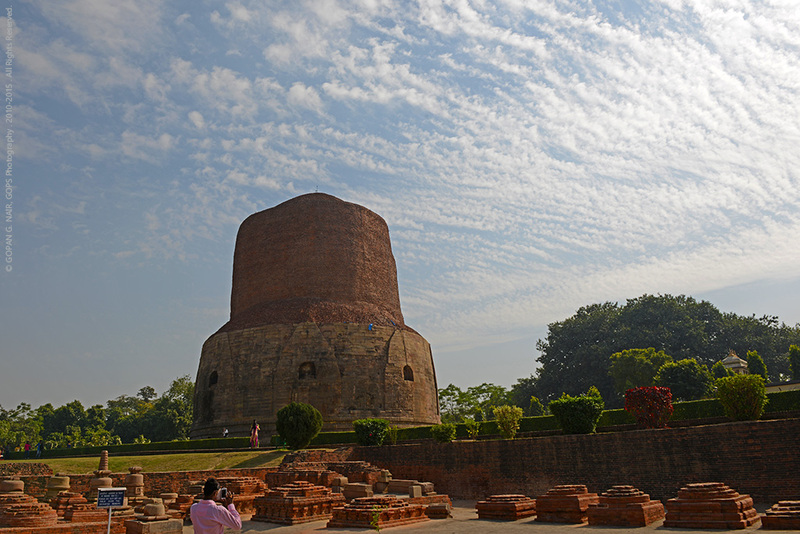 Sarnath is one of four holy pilgrimage destinations for Buddhists around the world. 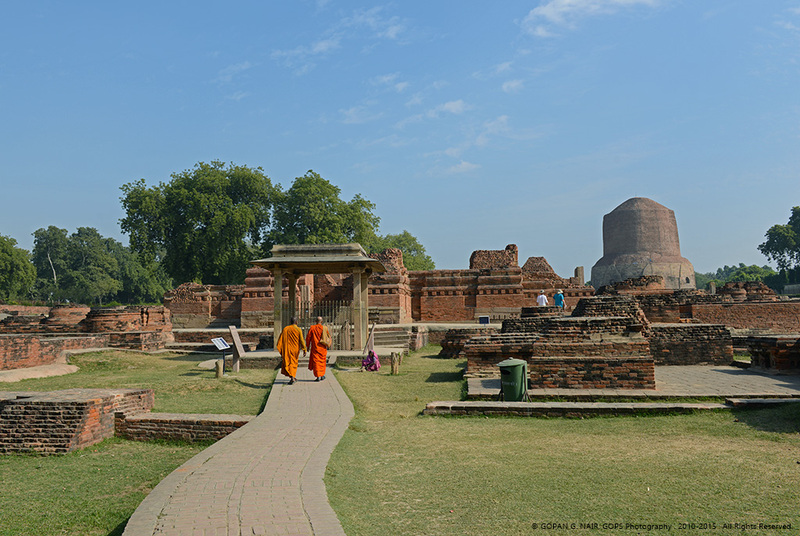 The holy sites based on Buddha’s life are: Lumbini (birth); Bodh Gaya (enlightenment); Sarnath (preaching) and Kushinagar (death). 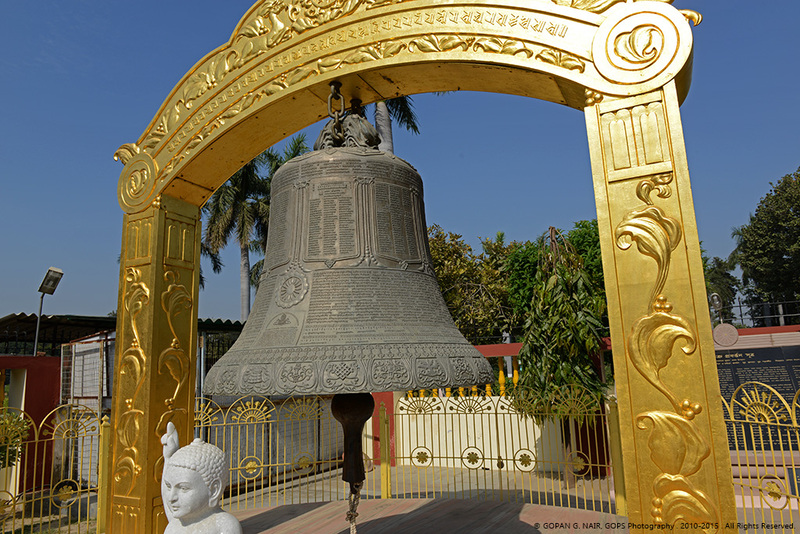 The Dhamek Stupa was re-built in 500 AD and it is well preserved till date. Ashoka was the the son of Bindusara and grandson of Chandragupta Maurya, (Read about Chandra Gupta here) the founder of the Mauryan dynasty . Ashoka ruled India from 269 BC. and died in 232 BC. 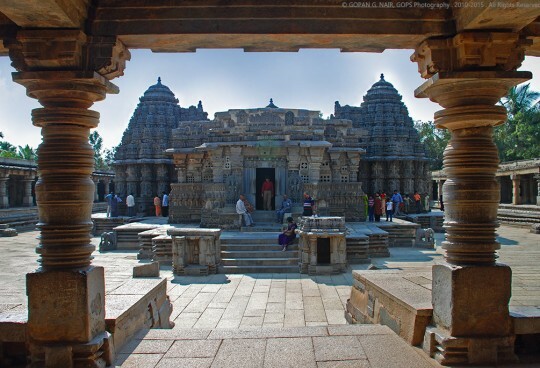 After the famous Kalinga war, Ashoka decided to give-up violence and embraced Buddhism. 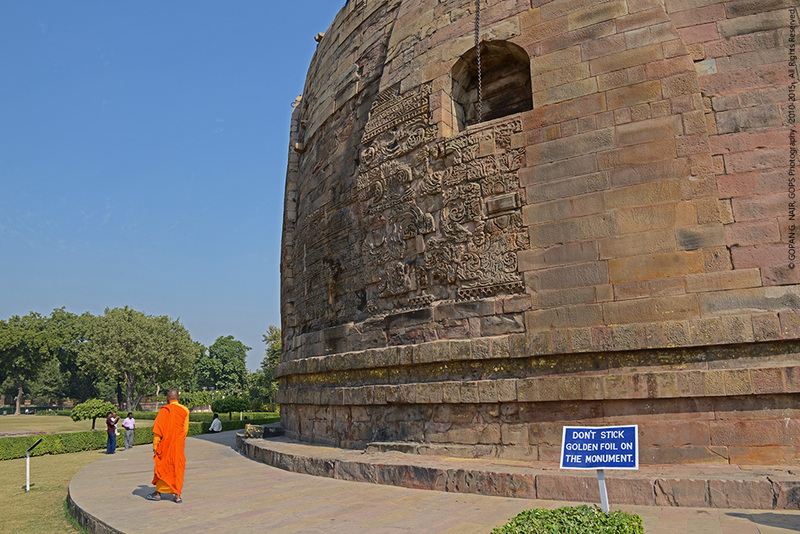 He was well known for his rock and pillar inscriptions which could be found all around India till date .The famous Chinese traveller Xuanzang who visited Sarnath in 640AD, recorded that the monastery had over 1,500 monks at that time. 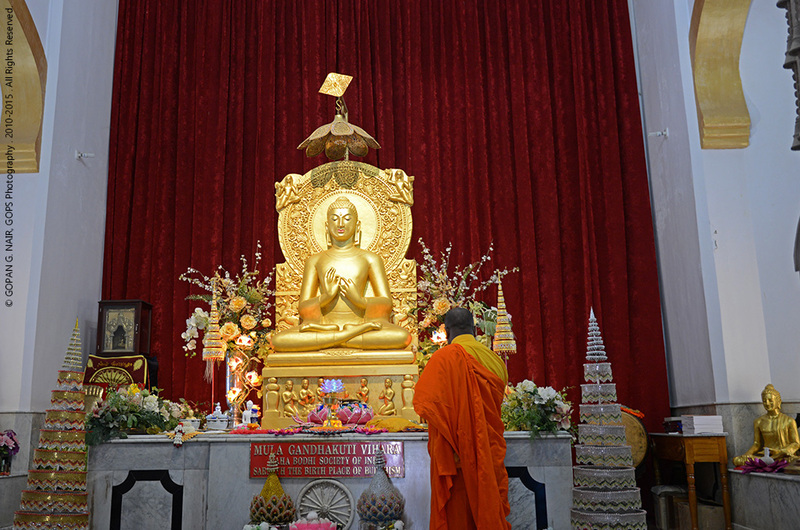 Several Buddhist countries have built there shrines here and being maintained very well. 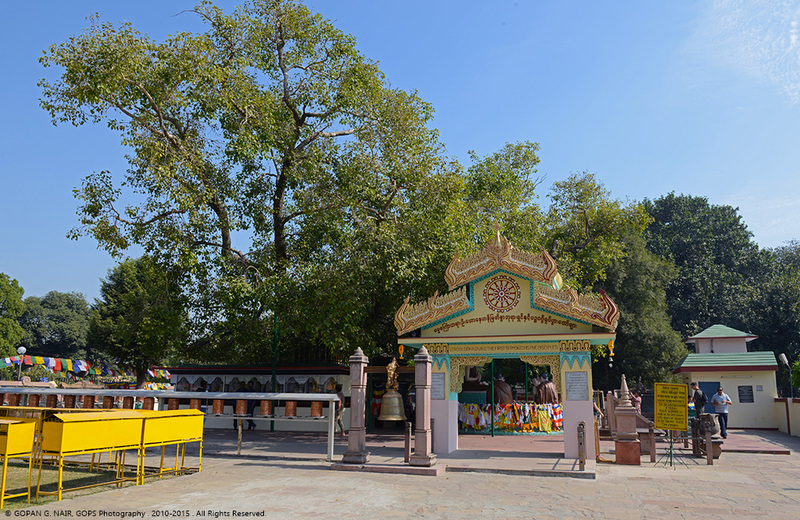 It is believed that in 528 BC (around 2,500 years ago), Gautama Buddha had attained ‘enlightenment’ while meditating under a peepal tree for 49 days in Bodh Gaya. 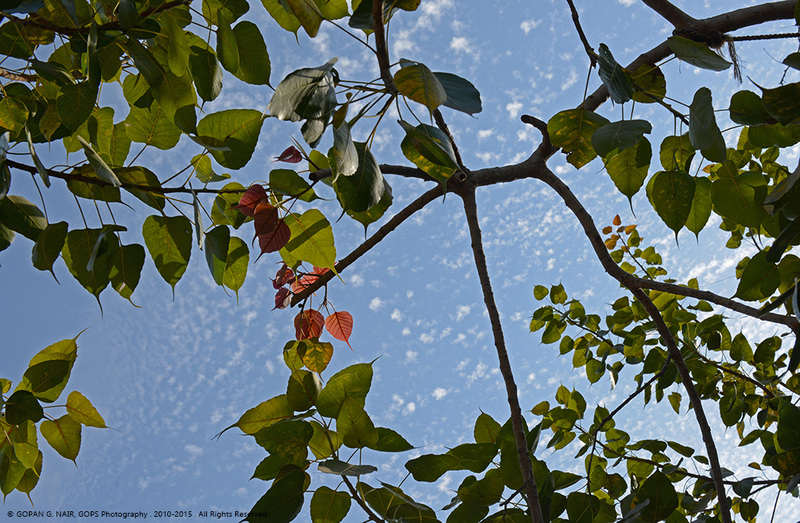 This tree was later known as ‘Bodhi tree’. 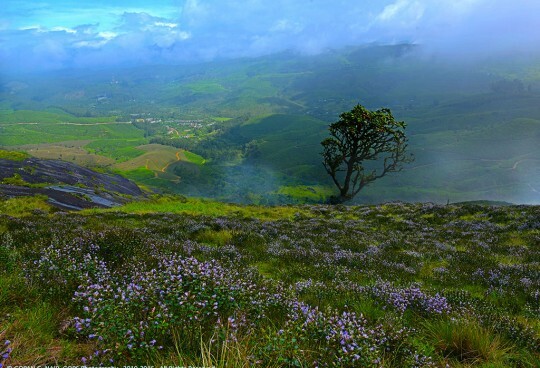 As per legend, Emperor Ashoka’s daughter, Sanghamittra, had taken a shoot from the original ‘Bodhi tree’ with her to Sri Lanka and planted it there. 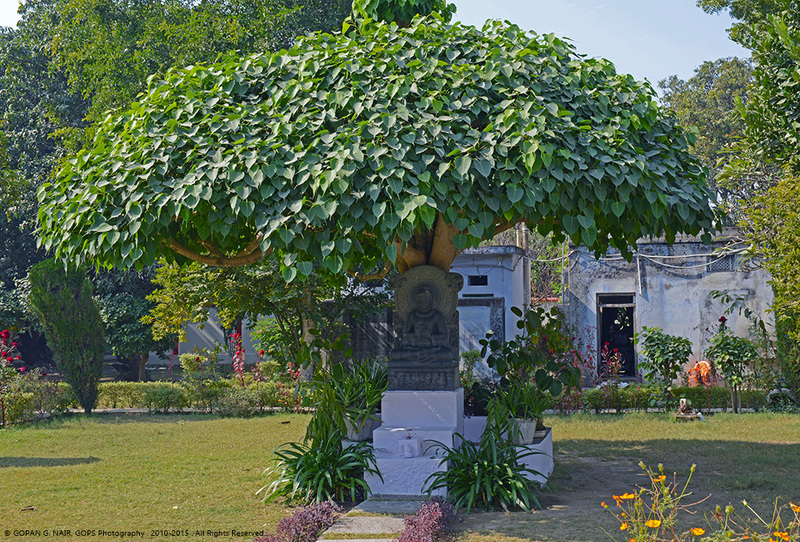 In 1931, Anagarika Dharmapala, the founder of Maha Bodhi Society of India, brought a shoot of the ‘Bodhi tree’ from Sri Lanka and planted it at Sarnath which is being worshipped here. 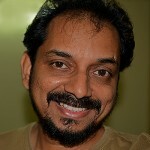 Hi,I read your blog named “GOPS » SARNATH, THE BIRTH PLACE OF BUDDHISM” regularly.Your story-telling style is awesome, keep up the good work! Thanks for your visit and comments. Let’s travel together.